Starbucks Coffee Company, Seattle, announced its Starbucks Greener Stores framework and a commitment to design, build and operate 10,000 greener stores globally by 2025. The Starbucks Greener Stores framework will be built upon comprehensive performance criteria that help ensure the company’s approach to designing, building and operating its company-owned stores sets a new standard for green retail, the company says. Over the next year, Starbucks will develop an accredited program to audit all existing company-operated stores in the U.S. and Canada against the framework criteria, culminating in 10,000 greener stores globally by 2025. These stores will encompass existing stores, new builds and renovations. The Starbucks Greener Stores framework will also be open-sourced to benefit the broader retail industry. Announced at The Global Climate Action Summit Sept. 12-15 in San Francisco , the Starbucks Greener Stores framework is anticipated to save the company an incremental $50 million in utilities over the next 10 years. This builds on Starbucks 10-year legacy of utility cost savings attributable to greener store practices, which already equates to approximately $30 million in saved annual operating costs. Built on a foundation of the LEED certification program and sustainable operations, the Starbucks Greener Stores framework will offer a comprehensive model and broad environmental scope that is universal in design, but most relevant to the retail industry, the company says. With performance-based standards that incorporate design and extend throughout the life of a store, Starbucks Greener Stores will focus on energy efficiency and water stewardship, renewable energy, healthy environment, responsible materials, waste diversion and engagement. With this commitment, Starbucks will also further enable and empower its more than 330,000 partners globally to be informed and engaged in sustainability, the company says, adding to a burgeoning group of partner advocates through Partners for Sustainability and the Greener Apron voluntary certification program with Arizona State University. The Starbucks greener stores framework will be co-developed by leading experts including the World Wildlife Fund (WWF), Gland, Switzerland, and will be audited and verified by SCS Global Services, Emeryville, California, a third-party verification organization that also oversees Starbucks Coffee and Farmer Equity (C.A.F.E.) Practices. This framework will be open-sourced to enable other retailers to engage in this initiative. “Willingness for Starbucks to independently verify a large-scale complex deployment of a robust, impact-driven and innovative multi-attribute greener stores program to address climate change demonstrates leadership, integrity and transparency, which are core values shared by SCS,” Stanley Mathuram, vice president at SCS Global Services, says. Starbucks has been committed for more than a decade to the development and implementation of scalable green building and operations. In 2001, Starbucks joined with the U.S. Green Building Council (USGBC) to develop the LEED for Retail program, and in 2005, Starbucks opened its first LEED-certified store. Today, Starbucks operates more than 1,500 LEED-certified stores globally across 20 countries—including all 50 states and Puerto Rico—more than any other retailer in the world. 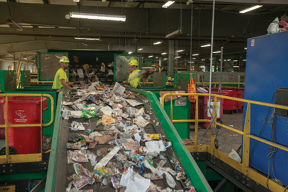 The company now operates eight EFW facilities in Florida with a combined 5.3 million tons per year of waste disposal capacity. Covanta Holding Corp., Morristown, New Jersey, has completed the previously announced acquisition of the business that provides operating and maintenance services to the Solid Waste Authority (SWA) of Palm Beach County’s two energy-from-waste (EFW) facilities located in West Palm Beach, Florida. Covanta paid $45 million, subject to adjustment, and expects the incremental annual revenue contribution will approach $60 million. 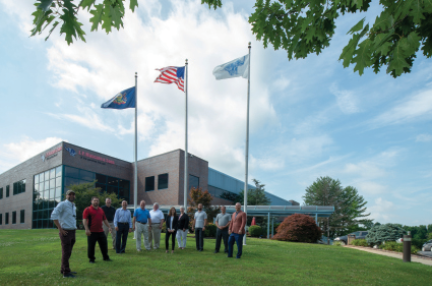 "This acquisition is an excellent opportunity for us to apply our breadth of operating experience and maintenance capabilities to two high-performing EFW facilities in a market we know well," Stephen J. Jones, Covanta's CEO and president, says. "We look forward to building a strong and successful partnership with the Solid Waste Authority of Palm Beach County and are happy to be adding talented and experienced employees to the Covanta family." Covanta now operates eight EFW facilities in Florida with a combined 5.3 million tons per year of waste disposal capacity. 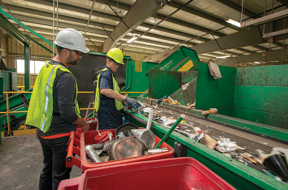 "The Solid Waste Authority of Palm Beach County has built a world class integrated solid waste management system including two waste to energy facilities that process over 1.7 million tons of municipal solid waste each year," Mark Hammond, executive director of SWA of Palm Beach County, says. "We look forward to our partnership with Covanta and building upon their reputation for operational excellence to further enhance the authority's position as a worldwide leader in sustainable solid waste management." As recovery efforts get underway, Republic Services offers tips to help with trash collection, recycling and removal of storm debris. Hurricane Florence, which made landfall in the Carolinas Sept. 17, brought high winds, heavy rains and flooding throughout the region. A number of communities and businesses are now starting to deal with the cleanup efforts. As recovery efforts get underway, Republic Services, Phoenix, offers the following tips to help with trash collection, recycling and removal of storm debris. Keep household trash and recycling separate from storm debris. Materials such as tree branches, drywall and waterlogged electronics or appliances should not go in the trash or recycling containers. These materials typically are picked up by separately contracted storm debris removal companies. Republic will continue to collect its customers solid waste and recycling as soon as roads are clear. In most cities, storm debris is separately contracted under FEMA disaster assistance based on assessments from local emergency managers. Debris pickup will be separate from regular waste and recycling collection. Republic is already in the process of resuming regular residential and commercial collection services in the impacted areas. For updates about waste and recycling collection schedules, check republicservices.com/service-alerts or use the My Resource app for iOS or Android.